Hialeah Movers – At Discount South Florida Movers, we know how painful moving can be. That’s why our mission is to remove the stress from your move while our experts guide you through the process. We have been moving people like you in the area for several decades. You can rest assured that the professionals at Discount South Florida Movers will move your belongings in a safe and timely manner. There is no aspect of any moving job that we haven’t seen before. We offer a wide range of services at rates that can’t be beat. Whatever you might need, we do it all, from residential to office moves, near or far. Rest assured that our team of professional movers can complete your entire move from safely and securely packing the belongings to their transportation. Hialeah is a large city inside of Miami-Dade County. Along with Homestead, they are the only two cities to use a different street grid numbering than the rest of the county. It is also famous for having more Cuban residents than any other city in the country with 74% of the population being Cuban. It also has the second highest rate of Spanish spoken in the household, right behind its neighbor. The city also has the dubious distinction of being the “most boring” city in America according Forbes magazine because of its large size and little fan fair. Regardless of that, the city is growing at an incredible rate. With 224,000 people, it is currently the 5th largest city in Florida and one of the fastest growing major cities in the state. The city is far from done expanding yet. 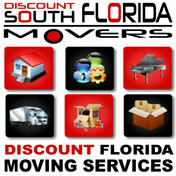 Discount South Florida and Hialeah movers provide low rates on residential, commercial, piano and long distance moving.